Simplicity and elegance combine in the perfect lines of this vanity. With 1 pull down door + 1 drawer on the bottom and sleek modern handles, this bathroom vanity is modern simplicity at its best. 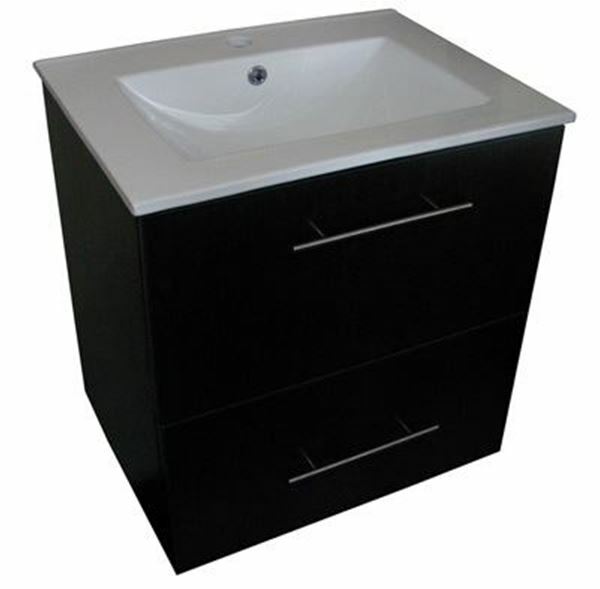 The vanity is constructed using the Highest Grade MDF, Engineered for Moisture Resistance. 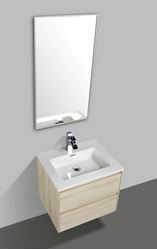 The cabinet has a beautiful white integrated basin with unique angles and graceful lines made of highly durable quality ceramic. Mounting bolts, screws and key included. Fully assembled in 2 boxes.